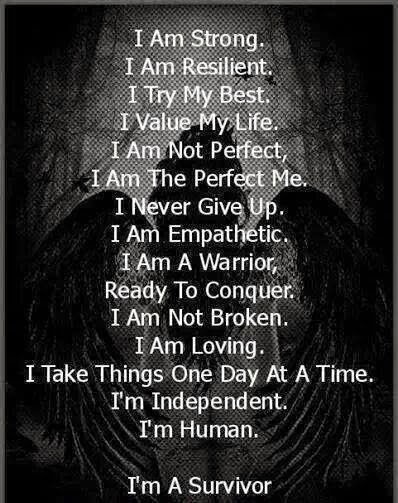 I’m a warrior I”m ready to conquer a warrior strong but not empathetic I never give up I’m a conqueror.. Perfection to own self is the perfection of me.. Perfect is nothing that’s just how it’s to be.. Acceptance of a warrior the resilience ready to conquer the strength of own self Concord acceptance of own self now a Warrior survivor independent of Cancer. Strength as a strong man independence is the freedom of choice..
Warrior to Conqueror every day one day at a time don’t have sympathy I don’t want your empathy.. I’m a warrior strength is my gain my independence of cancer that’s my physical my conceptual is the strength of a system…. → Change the world Smile! !